I have excellent news – early voting starts today! I know that life can be unpredictable and sometimes plans change – don’t let your plan to vote be one of those things. Voting early is more secure, more convenient, and it helps us focus on getting other folks to the polls. It also frees you up to help out on Election Day! 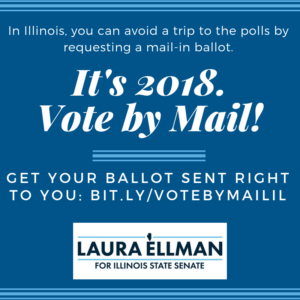 You can either vote early in person starting today or request a ballot in the mail so that no matter what happens on Election Day, you will be able to vote. We are spending every day between now and November 6th talking to voters to make sure they get out and vote, too. Sign up here to join us to make sure everyone has an opportunity to let their voice be heard in this election.